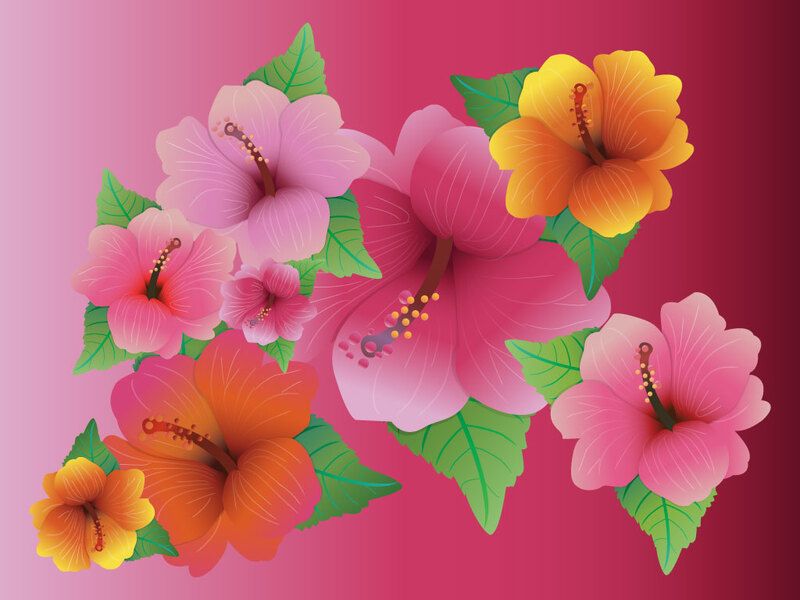 The Hibiscus flowers is beautiful, tropical and elegant. This illustration has soft, rich colors that enhance the natural beauty. Use this illustration in your garden, nature and floral designs. Tags: Beautiful, Colors, Exotic, Flower, Hibiscus, Plants, Tropical.